I don’t know about others but Nintendo lovers and more precisely fans of ‘The Legend of Zelda’ are up for a treat. Play-Asia is selling Phantom Hourglass gashapon and that too just for $2.99 each (119.05 INR). Unbelievable price, now? But there’s a catch, you can’t choose what you want. There are 5 different figures available and are selected randomly for sale. 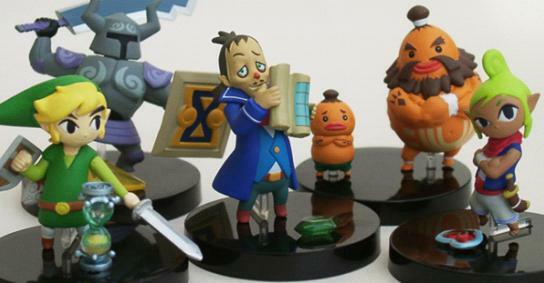 Like if you ordered 5 of them then it’s not assured that you’ll get all unique figures. Though I am sure that this will not stop Zelda lovers from buying it and the tactics will pimp up the sales as everyone would love to have all five of them. So hurry up and order as soon as possible, because there are limited pieces available. Coolest pic of the day! ← Awesome 'Turntable Rings' by Darkcloud Silver – Stylish and shiny!